The MultiLingual Computing corporate office is located in North Idaho in the Selkirk Mountains. 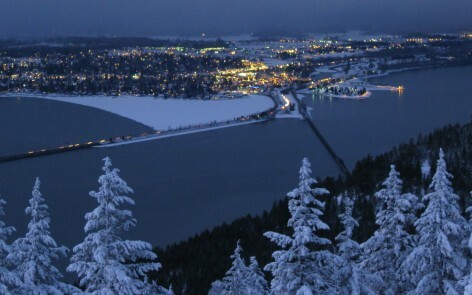 We’re in the small town of Sandpoint on Lake Pend Oreille, 11 miles from Schweitzer Mountain Resort. Sandpoint is one of those places that’s easy to fall in love with and encourages people to move to the Idaho panhandle. That’s why the MultiLingual staff has come from California, Colorado, Minnesota, Missouri, Ohio, Oregon, Tennessee, Washington and The Netherlands to be here. Oh, and we have some native North Idahoans on board as well! Our offices are on the second floor of two turn-of-the-century (last century) buildings with brick walls and lots of skylights. We love being off the beaten path, but we also enjoy visitors. Come and visit us anytime!